HelloSkin: THE perfect skincare shop? 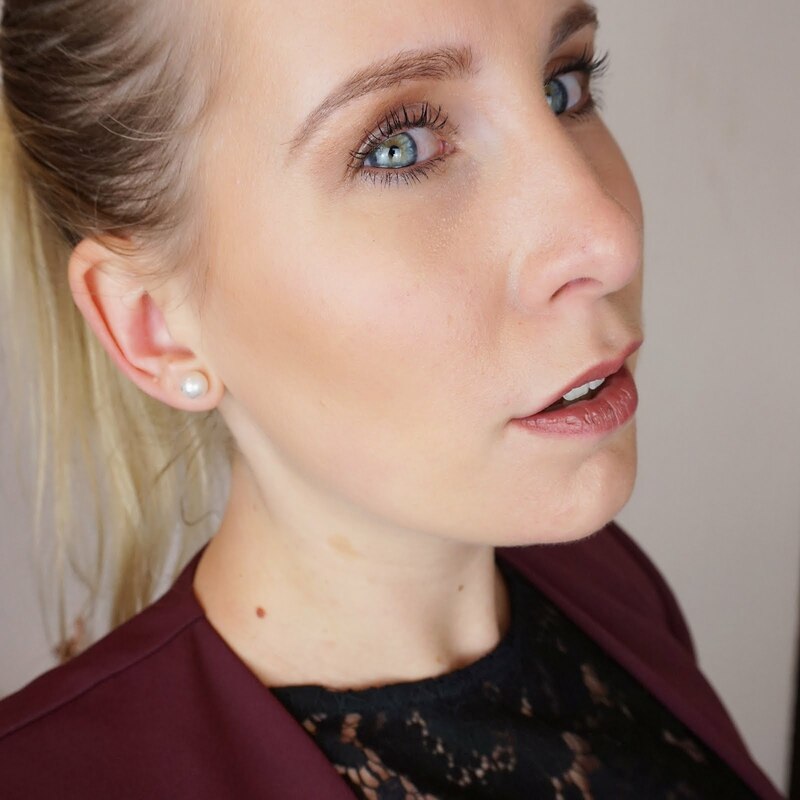 If you've followed me from the start or know me from outside the world of blogging, you may have heard me talk about skin issues. It's not like I have a skin condition as such, but I do have difficult skin. 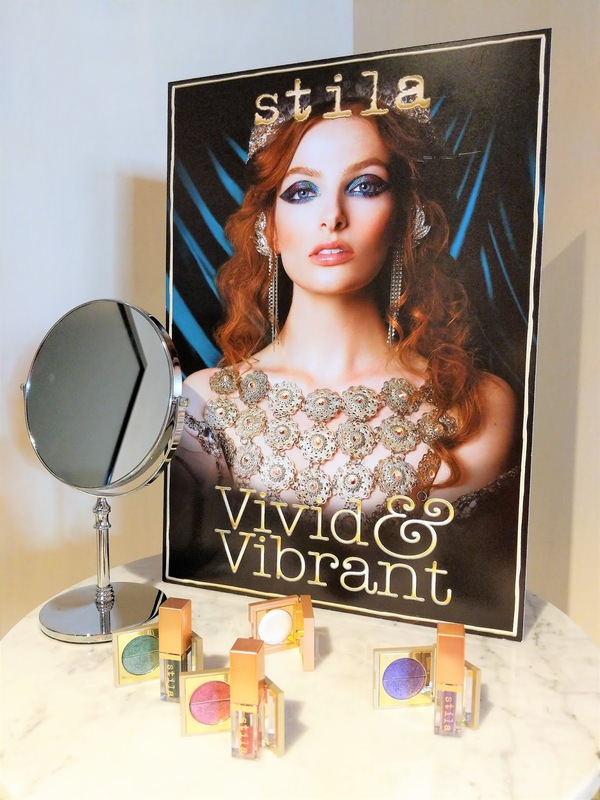 I am a true combination skin kind of girl - oily forehead/nose, dry cheeks, you know the deal! My cheeks tend to be really red (close to rosacea) and if I'm unlucky and the weather is sunny and warm, my skin is prone to spots too. All of this put together means that good skincare plays an important role in my life, and over the years I've tried various products but still find it hard to find exactly what I'm looking for. A few months ago I was contacted by HelloSkin, a web-based skincare store that focuses on finding the right products for people with skin conditions. I've bought skincare through webshops before, but unless you know from previous experiences what brands and products you're after it's not great because you can't try before you buy. You also can't just take your friend's word for it because what works for their skin, might not work for you. I know there is only so much you can do when comparing buying skincare online to trying and buying it in store, but HelloSkin seems to offer a different approach to other webshops. HelloSkin was set up in 2016 by a group of doctors, entrepreneurs and e-commerce specialists. The idea for HelloSkin came about after realising that there was no dedicated store that focuses on psoriasis, an autoimmune disease that causes red, flakey skin, and that other stores are not offering transparency and product information that people are looking for. So what HelloSkin do, is focus on the ingredients, and research every product before they add it to their store, so that it is clear what it is exactly that the product does and what it can be used for. Once an item is added to their shop, they provide in-depth information such as a generic product description, a list of ingredients, highlighting the ingredients that target the specific skin condition, directions on how to apply the product, precautions, possible side effects and research & evidence. I really like the research & evidence part, because it provides a bit more scientific information behind the product and why it would work for certain skin conditions. That's better than just taking someone's word for it right? Another interesting point is that when you buy a product from HelloSkin, they ask you what skin condition you have (please note that it is completely optional so do not feel forced to answer the question!). 30 Days after your purchase, HelloSkin will contact you as a follow up to see what the product has done for you and what effect it has had. Again, completely optional to provide this information but by doing so, HelloSkin gains a better understanding of the skin conditions people are living with and what products work or do not work. I find this a really refreshing approach and definitely approve! 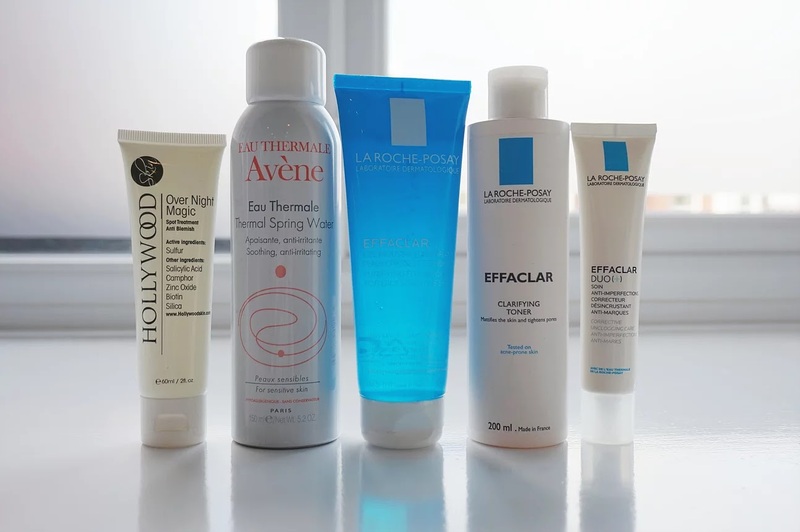 So for my order I chose the La Roche Posay Effaclar '3-Step' Anti-Blemish System for acne-prone skin, which treats, clears and prevents blemishes by treating the problem of excess oil on the surface. I have used this for a couple of months now and my skin feels amazing! 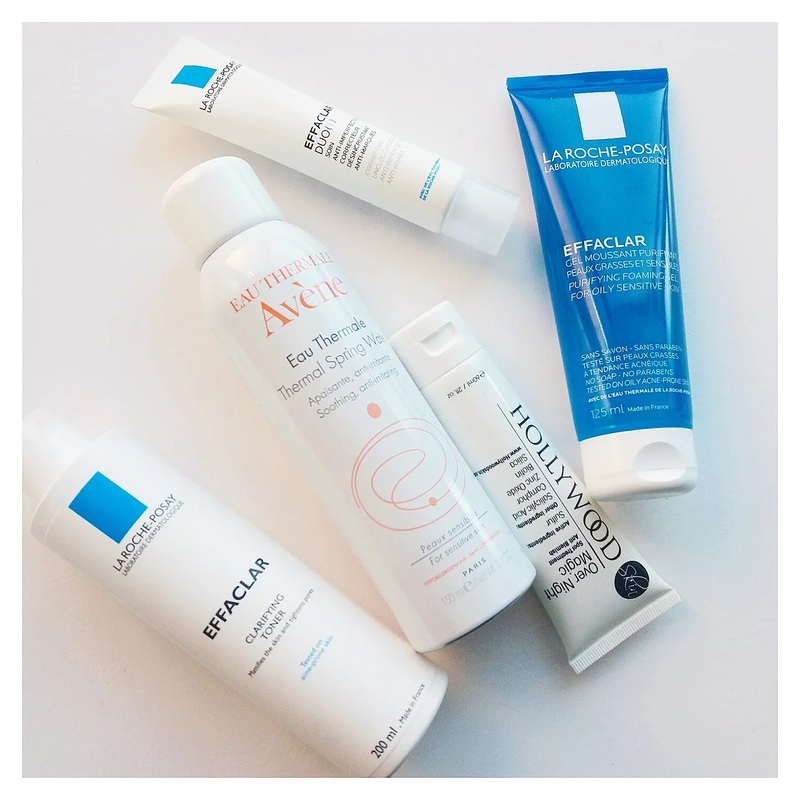 I knew the Effaclar cream worked for me as I'd tried that before, but this system is great as it cleanses my skin without making it feel dry. Previous products I've used to get rid of excess oil always dried out my skin making it no better than it was before, not these products though! HelloSkin were absolutely spot on with the description. I also ordered the Avène Thermal Spring Water Spray for dry and sensitive skin which I chose to use on the dry skin of my legs after showering, and the Hollywood Overnight Magic for acne-prone skin to use as spot treatment and associated redness as and when necessary. I haven't used these yet but I have high hopes! 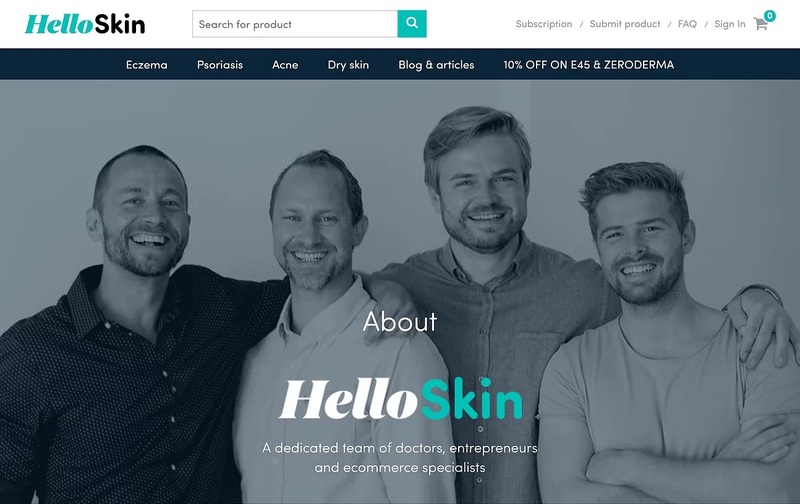 When you open the homepage of the HelloSkin website, it's split up in 'Eczema', 'Psoriasis', 'Acne' and 'Dry Skin', but there is also a search box at the top of the page where you could for instance type in the brand of the product you're looking for. Overall the website is super easy to navigate and I am really impressed by the service and range of products HelloSkin has to offer. I believe their approach is innovative and I think it's a great concept! I will definitely be visiting their shop in the future and would recommend it to anyone looking for specific skincare and wants to find out more about the working ingredients. Thank you for taking the time to read this post. I hope you have found it useful! Feel free to share your thoughts by leaving a comment below, I would love to hear what you think! Do you want to find out more about HelloSkin? Visit their website by clicking here. *The products in this post were gifted for the purpose of a review. The opinions in this post are 100% honest and my own. For more information, please visit my PR/Disclaimer page.